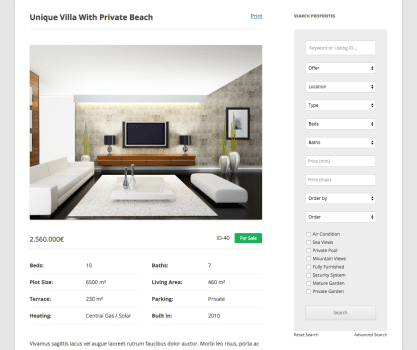 Display an expandable area with advanced options in property search form. By simply activating this add-on plugin advanced search options will be added to the default WPCasa property search form. These options are placed in an expandable area that can be opened or closed by the click on the advanced button that is now displayed in the form. 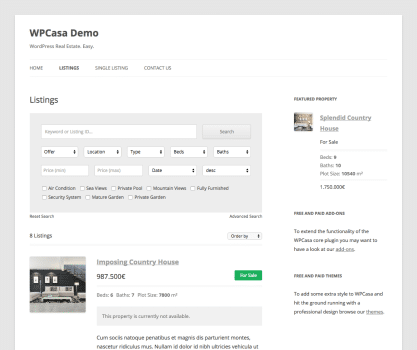 Automatic installation is the easiest way to install WPCasa Advanced Search. Log into your WordPress admin and go to WP-Admin > Plugins > Add New. 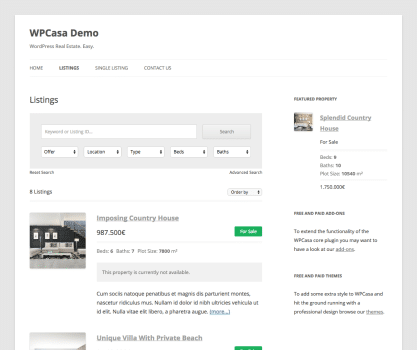 Then type “WPCasa Advanced Search” in the search field and click Install Now once you’ve found the plugin. 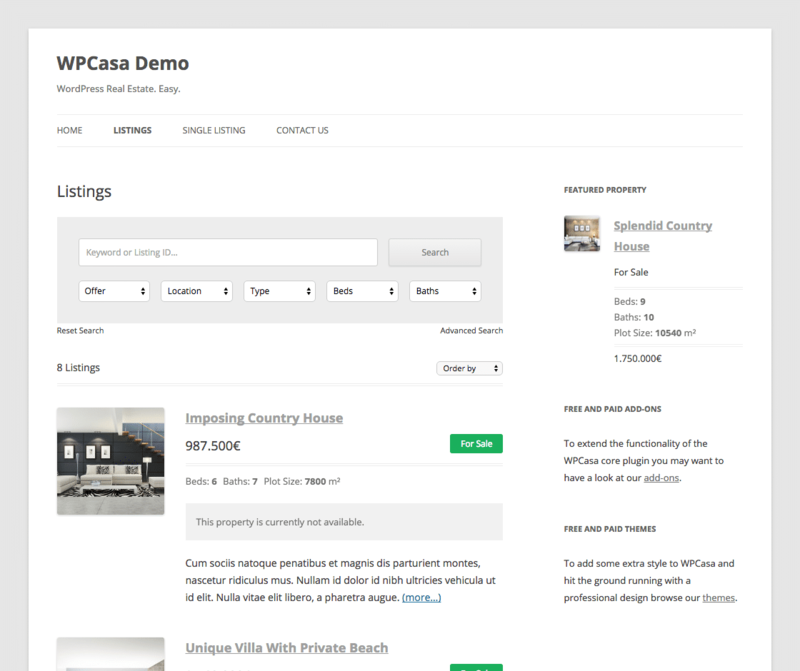 There are no more steps necessary than to install and activate the plugin in the same WordPress installation where you run WPCasa. You can read our documentation for more detailed information. This add-on is available for FREE. You can find it in the official WordPress plugin repository or download it directly by clicking the button below.